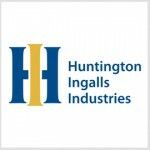 Huntington Ingalls Industries hosted a keel authentication ceremony Friday for the U.S. Navy's 13th San Antonio-class amphibious transport dock vessel being constructed at the Ingalls Shipbuilding facility in Pascagoula, Miss. USS Richard M. McCool Jr., designated LPD 29, is named for a former Navy officer who displayed heroism during the Battle of Okinawa, HII said Friday. His granddaughters, Shana McCool and Kate Oja, served as co-sponsors of the ship and etched their initials into a keel plate. In a separate press release, The Navy said that Ingalls Shipbuilding began fabrication of LPD 29 on July 30 of last year and is scheduled to deliver the vessel in 2023. San Antonio-class vessels measure 684 feet in length and are designed to transport U.S. Marines, supplies and equipment. The fleet can also support expeditionary and amphibious power projection and sea control missions. HII secured a $1.47B contract in late March to design and build LPD 30, which will be the first ship for the LPD-17 Flight II program.